Learn to Paint in One Day! 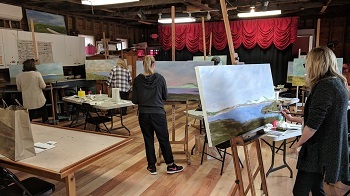 Beginners & More Experienced Painters Welcome! Many of our workshop participants have little or no painting experience and they are thrilled with the results! Join us! Falmouth Art Center, Sat., June 1, 9am to 1pm. Details and registration at www.falmouthart.org . Cotuit Center for the Arts, Sat., June 15., 9am to 1pm. Details and registration at www.artsonthecape.org . Joe Gallant is a Certified Grumbacher Instructor.